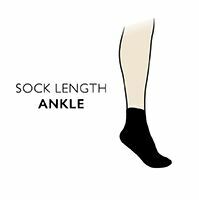 These SealSkinz Thin Ankle Length Socks are great for cycling, running, watersports and golf and even standing in the bath! They are lined with fine Merino Wool for great comfort and excellent wicking performance. These Socks are rated TWO.